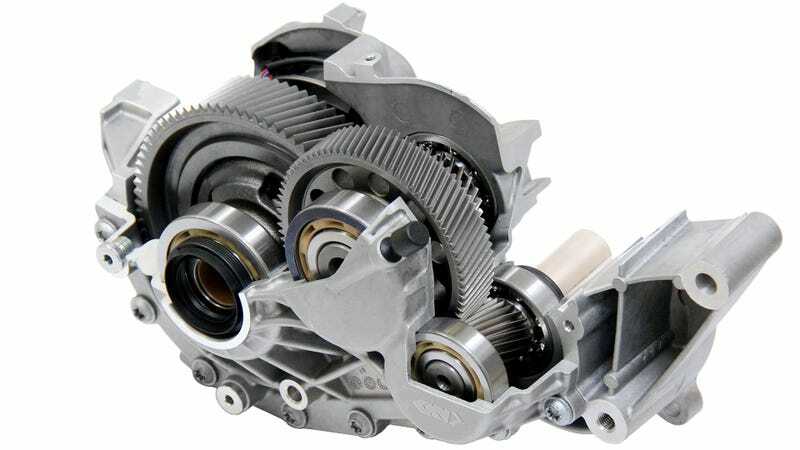 The company that came up with electric drive axle units for the Porsche 918, the BWM i8 and the Volvo T8s, GKN, is behind a lot of the leading-edge technology finding its way into supercars. And now, their upgraded units will also make it into affordable compacts near you, resulting in cheap hybrids for all. In case you haven’t heard of them yet, GKN is the company responsible for the Ford Focus RS’ torque vectoring all-wheel drive system, the new BMW 7 Series’ lightweight side-shafts and the limited-slip differentials in high-performance machinery such as the Dodge Viper. GKN came up with its eAxle technology as early as in 2002, launching the industry’s first high voltage system with PSA Peugeot Citroen in 2010. From there, they moved on by becoming the supplier of Porsche’s 918 Spyder program, and introduced the world’s first two-speed eAxle in the BMW i8 before launching another version in the Volvo XC90 T8. The new eAxle is an evolution of the system GKN designed for the Porsche 918 Spyder. The single-speed design minimises weight to just 20.9kg while optimising efficiency, installation space and costs for mass-market vehicle applications. A two-staged geartrain with a gear ratio of 12.5 provides up to 2000Nm torque and 65kW power for a dynamic pure-electric mode and balanced wheel torques for all-wheel drive mode. An electromechanically actuated dog clutch disconnects the electric motor at higher vehicle speeds and an open coupling minimises rotating losses when disengaged. Precision engineering of the gear teeth and other acoustic measures ensure noise emissions are minimal. GKN says a typical C-segment plug-in hybrid with an additional 65kW of power on the axle will be able to accelerate to 62 miles per hour significantly faster, while the eAxle also provides a useable electric range and reduces the vehicle’s CO2 emission rating. The single-speed version can be integrated into front-wheel drive platforms, turning the cars into an all-wheel drive hybrids. With more and more new cars featuring a useable electric range (and autonomous functions), spending time in traffic jams will never be the same.